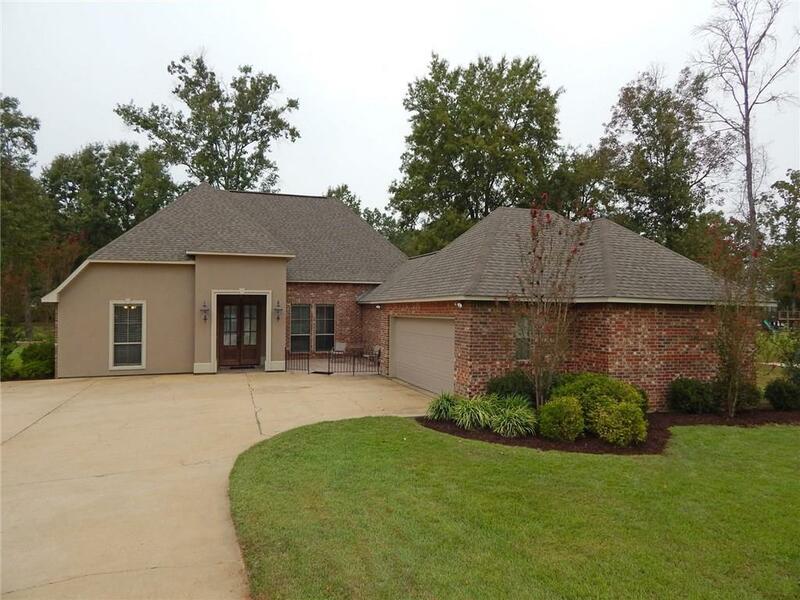 Fantastic 4BR/3BA French Country style home on large park like lot in a desirable location. A stately entry leads to a spacious living room with windows on both sides, high ceilings, and an attractive fireplace. The truly wonderful split floor plan has an open kitchen, dinning area, and living room as it's center piece. The living room end splits off into a very nice master suite on one corner then two bedrooms and a hall bath on the other. At the other end, a large gourmet kitchen with stainless appliances, a gas range, and granite counters leads to a separate wing with a 4th bedroom and 3rd full bath. The arrangement is perfect for private in-law quarters or guest accommodations. At the back of the home, a screened porch opens out to a lovely wrought iron fenced patio area. The yard beyond is a long expanse of lawn and large shade trees. The exterior of the home has attractive landscaping and great curb appeal. This property really is a must see.